Wayne State University Press, 9780814326046, 260pp. 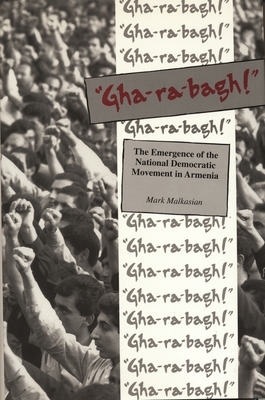 "Gha-ra-bagh " chronicles the initial stages of the former Soviet Union's first mass national democratic movement. The popular ground swell, which came to be known as the Karabagh movement, transformed the political consciousness of Soviet Armenians and led them to challenge the legitimacy of the Soviet system. The book, whose title refers to the chant that was used during demonstrations, brings to life the drama of the events of 1988 from the perspective of Yerevan, the capital of Soviet Armenia. With vivid narrative detail, Malkasian recaptures the atmosphere, zeitgeist, and mood that permeated the public squares and main boulevards of the city. He documents the euphoria that marked the first large-scale demonstrations in February, the Kremlin's sobering rebukes in the summer, the tragedy of the December earthquake in northern Armenia, and escalating communal violence between Armenians and Azerbaijanis.